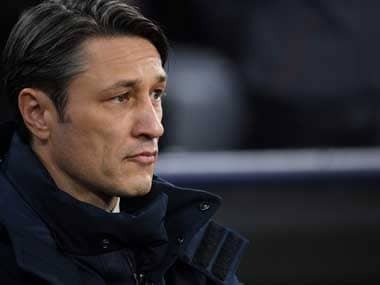 Berlin: Hanover 96 remain top of the Bundesliga after Hoffenheim were held to a 1-1 draw at home to Hertha Berlin on Sunday while Bayer Leverkusen later hammered Freiburg. In the first ever Bundesliga match to kick off at 1130 GMT, Germany striker Sandro Wagner powered home a header after just six minutes to give Hoffenheim the lead against Hertha. However, Hertha striker Alexander Esswein equalised when he dived at Marvin Plattenhardt's cross on 55 minutes and the ball flew into the net off his shoulder. Having got themselves level, Pal Dardai's Hertha defended deep, packed players around the ball and frustrated Hoffenheim to earn a point away from home as neither side managed to create many more clear chances. Hanover went top of the table on Friday for the first time in 48 years with a 2-0 win at Hamburg thanks to goals by Martin Harnik and Togo winger Ihlas Bebou. 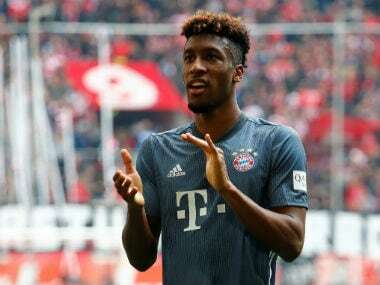 However, Borussia Dortmund can knock Hanover from the top spot on Sunday afternoon when they host bottom side Cologne, who have lost all three Bundesliga games so far and lost 3-1 at Arsenal on Thursday in the Europa League. Later on Sunday, Germany striker Kevin Volland netted twice as Bayer Leverkusen left the relegation places to go 12th with a 4-0 rout of Freiburg, for whom England Under-20 winger Ryan Kent, on loan from Liverpool, made his debut. Volland opened the scoring with a superb strike from outside the area, but not to be outdone, Aranguiz showed superb technique and timing by running onto a loose ball which he volleyed home. Volland picked up his second by tapping home Lars Bender's cross to make it 3-0 at the break. Freiburg coach Christian Streich reacted for the second-half by bringing on Kent, who went close with a late shot, but the result left the club in the bottom three. 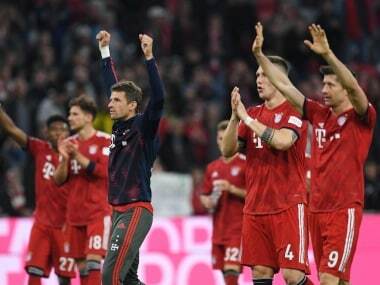 Defending champions Bayern Munich are second, one point behind Hanover, after their 4-0 hammering of Mainz on Saturday when Robert Lewandowski netted twice while Arjen Robben and Thomas Mueller also got on the scoresheet.